Please click through for a detailed description of all the classes we offer throughout the week. Each term has a different theme for the students to explore, from the West End and Broadway Musicals to Hollywood and Movie Classics. There is always something different and exciting to inspire the children’s imagination and interest! Our classes inspire children to be creative, confident and learn new skills within a completely happy and safe environment. 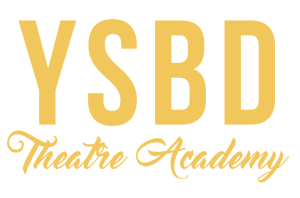 Students perform in their very own musical production of a West End/ Broadway show which is costumed and staged in our YSBD studios or at a local theatre. Our main school consists of a 3 hour session for children aged 7 -18yrs. The three hours includes three 50 minute sessions of dance, drama and singing. All children will have a 10 minute break between each session. ChaSamba dance fitness classes are a fun way of keeping fit for any age and ability! Our Musical Theatre Masterclass is an 1hr 30 minute session focussing on all things Musical Theatre.